We all know the importance of print. It can play a big role in raising the profile of your business, and allows you to communicate your message with your customers. It allows you to portray an image of your business; a way in which you want the world to see you. It provides you with a blank canvas to really get creative and get people talking about you. Whilst using posters and banners inside your business or shop is standard practice for most companies, taking that big leap outdoors can often be a more tentative approach. 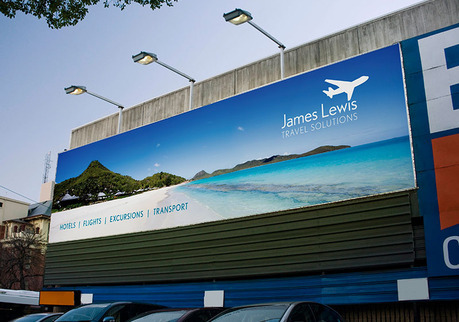 Whether it’s the cost or perhaps even a fear of the unknown and the outside world, promoting your business and your product using small and large posters or billboards can have many benefits. In our latest blog post we take a look the top reasons to consider printing outdoors this year and the benefits it could bring to you and your business. 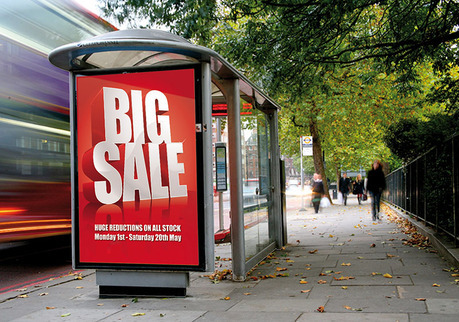 An outdoor poster can be found on many places including a bus stop, telephone box and even the sides of many buildings. It can help give your business some serious exposure. But that’s not all, creating an outdoor poster allows you lots of space to get creative. Creative print engages the general public; it gets people talking and generates interest in your product or service. Placing a QR code on your outdoor poster will also allow people to get more information on your business and it’s all instantaneous for you and your customer. Sometimes it can be difficult to let the world know who you are and what you do. With so many eyes looking outside your business rather than inside it, there is a mass customer’s base out there just waiting to see what you can offer them. How can you do this? Simple, look to outdoor printing this year and see which format works best for you. 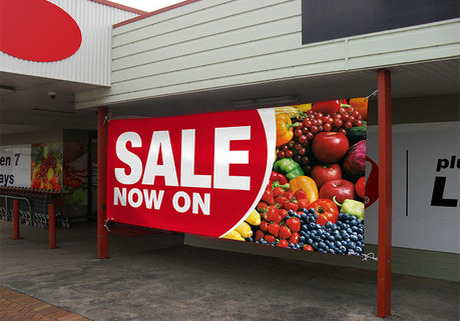 A vinyl banner placed outside your business can give your customer all the information they need and they are also a great way to highlight offers or discounts. This will draw the customer towards you, allowing you to speak to them before they even enter your premises. Think of outdoor posters, billboards and banners as a silent salesperson, maybe even your silent sales team. Let these platforms do your talking (or shouting) to the world! If you are looking to promote a message to the mass’s and want to get as many sets of “eye” on your message as possible, then look no further than billboards. Billboards are a great way to target large audiences. Billboards can really make an impact on us because they appeal to us at a time when nothing else can, e.g. when you’re stuck in traffic, when you’re out at the shops or when you’re waiting for a friend on the street. A humorous or creative billboard gives us that escape and if done well enough, it is an extremely powerful form of advertising. Great advertising haunts us. Being online is great but customers need to feel your business in their hands (leaflets and flyers) and outside of their home. If you want to be talked about and considered, then you must manage to do all of these in an engaging way. Outdoor print should not be overlooked and being consistent in each of these departments will help you make an impact and create something that is memorable. If you’re thinking about taking the leap into outdoor advertising, contact us today. We’re experts in all things print and are dedicated to helping you achieve all your business goals. You can also connect with us on Facebook, Twitter and Google+, to keep up to date with all the latest news here at Digital Printing.